Young boys need a space where they can use their imaginations and be active. 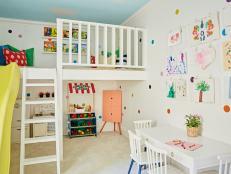 Check out these playroom photos from HGTV fans to get ideas for your boy's playroom. 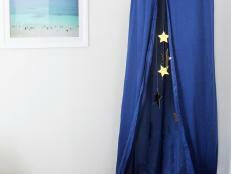 HGTV fan domnac was creative when it came to creating a playroom for sports-loving boys. With the artificial turf to the stadium-like lighting, the only thing missing from this playroom are screaming fans. 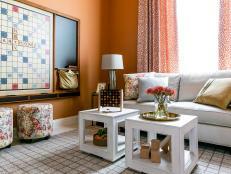 HGTV fan hennesses created this playroom for her boys. The two beds in the nook are great for overnight visitors, and the rug gives the space a whimsical look. The modular storage in this bright playroom allows HGTV fan mommy2peanut to change the look of the room while making it easy to clean up. HGTV fan SoCalMelissa's father painted this mural for his grandson. 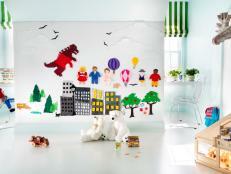 The Dr. Seuss-themed mural can grow with any child for years. Create your own fun by painting number blocks and installing floating shelves like HGTV fan tiffanycooley did. The bins add color and storage to the room. 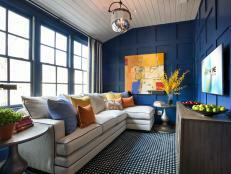 This fun-filled playroom submitted by HGTV fan mom2grant is perfect for a little boy who loves cars. 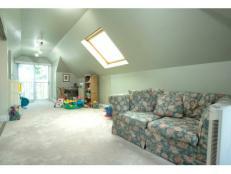 Every aspect of the room fits into the transportation theme. 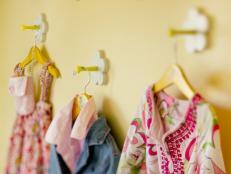 A playroom filled with many activities doesn't have to be cluttered. 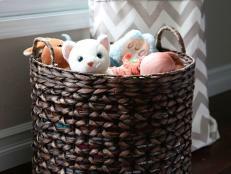 Baskets are a great way to store several toys and games, and they give the room a clean and tidy look. Submitted by HGTV fan 2boysmomma. This two-level playhouse submitted by HGTV fan jenpalbrach allows a child to be imaginative and active. 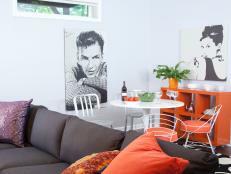 The brightly-colored walls create a fun atmosphere.